Affiliate marketing, product creation, blogging, Kindle/Nook or CPA offers; they all have one very important factor in common. They all require content. 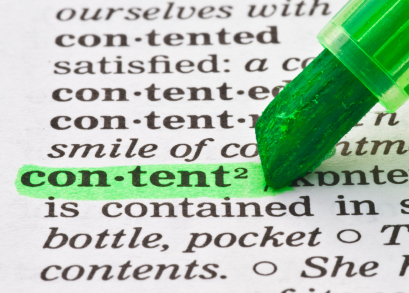 You need content for your site, your marketing, your videos and your social media sharing. You use content in your podcasting, forum posting, content sharing and blog posts. So, basically, you need content for just about anything in order to create or promote your online products and services. But, if you’re like most people, creating and managing all of that content is time consuming and generally just a pain in the neck! You can outsource writing for as low as $5 an article (500 words) to $40.00 and up. Or you can sit at the computer for most of the day, typing until your fingers hurt. But there is a third alternative! You can use what the gurus have been using and profiting from for years now. The difference between how they use this resource and how you have used it in the past is often the difference between their income and yours. They use it to leverage their knowledge and time by using specific techniques so that even the search engines recognize it as original content. No black hat work-around techniques. This is straight-up, just-what-Matt-Cutts-ordered original content, infused with your ideas and your voice. Private label rights, also known as PLR has been sold online for about a decade now. Unfortunately, it has developed a bad reputation from poor business practices. However, true to the original intent of the product, you can still find some of it that retains its quality and versatility. Basically, PLR is content is written by one person and sold to multiple people at a reduced price. So, while one original article written for a client may cost as much as $40.00, a quality PLR article may cost just 20 cents! In order to achieve the originality demanded by search engines to please their customers, there are specific techniques that must be used. The true gold of using private label rights is the research behind the content. Good PLR is researched first and written second. With some rewriting, quality PLR will give you enough solid information so you can add your voice and ideas to create an original work. This means that you are not facing a blank white screen, unsure of where to start your content creation. But rather you have ideas, thoughts, philosophies and wisdom already on the screen, ready for you to instill with your own voice and ideas. Memberships: Create a monthly income for yourself and use PLR to enhance the content. Creating new and interesting information each month just got easier when you rewrite private label rights content that is well written and well researched. Offline Businesses: Businesses require content on their sites and in their ezines. Use PLR that is injected with the owner’s personality and content from the business to create an original piece that makes the business owner happy and leverages your own time and energy. Offline Classes: Are you teaching a class at the local college? Use PLR to help develop the class syllabus and boost the content you cover. Sales Pages: Copywriting is an art. It touches on the hot buttons of the customers in that niche. You’ll be able to pull out those hot buttons from well-written PLR and include key phrases that pique the interest of your readers. Affiliate Training: Selling your own products? Develop your affiliate army by training them with private label rights content and inserting your own product information. Brandable Reports: Affiliates need viral reports that spread the word about your product but are branded with their affiliate links. PLR can help you create those reports without breaking the bank or your fingers! Physical Books for Marketing: Looking for a unique business card in your market? Let your ebook be your business card! You don’t have to carry the book – just send people to Amazon where they see it listed for sale. Voila! You are the expert. Home Study Courses: Coaching and teaching people specific techniques just got easier when you incorporate excellent PLR in the development of your content. Ecommerce Site: Rank higher in the search engines by incorporating content with links to products for sale. This creates a great internal linking structure and when your articles rank in the search engines, you’ll get readers who click the links and reduce your bounce rate! Bonus to Long Time Customers: Have long term customers you want to reward being staying on your list? Rewrite and add value to a good piece of PLR – it should take you as little as an hour to rewrite and finish a 7-page report that gives your readers value. You become the hero for a couple of dollars and 60 minutes. Printed Offline Newspapers: Yes, there are still offline newspapers! And offline business owners still read them. Get in with CONTENT and not advertising. When you call on customers, reference the article or bring it with you. Training Guide: Are you teaching readers to train their dogs, get ripped abs or play croquet? Find PLR in the niche and incorporate it into your training guides. Do NOT use it as is! Rewrite it and put your own ideas in the content to increase the value and create an original piece of work. Wiki Page: Become the author of a Wiki page in your niche and then link your blog to your Wiki page, an authority site. What a boost to your search engine results! Tips Report: Readers LOVE tips! Create a report with the best tips in your niche and gather your information from quality PLR. It reduces your research time and leverages your time and money. Thanks so much for the article, I’m in the business of reselling digital products with rights and I’m always looking for more creative ways to use my PLR to earn more profits. I have not ever visited “Answer Sites” so I’ll be hopping around on Quora and Yahoo answers a bit. This is a great resource for PLR profiting ideas. I’ll definitely pass on my my customers to this resource for unique ways to use your PLR. Ok, got it! You are just outlining suggestions of ways to use the PLR content to make profit other than putting it on my website. Ok, I am new so please bear with me. I have now just found my niche, and am another phase of the process, but will be coming to the content process very soon hopefully. You lost me between “Best Practices” and “15 Different Ways”. I was looking for 1 different places to go for PLR content, like a website. So I am not following the line of thought there. I’ve been using and selling PLR for several years now. As well as rewriting the content to make it unique to you, you can also change the format, e.g. The list of what you can do with PLR is only limited by your imagination! I do agree that PLR is a good way to go, but as said before you should change it and put your own twist on it. The best thing about it is that you can use it almost anywhere. Personally I think it works very well offline, as people may not have been exposed to it as much. Thank you very much, Gail. I also agree with Dan’s post. I’ve used PLR and have had great success with it. You can’t be lazy though and throw it out like you got it, because you will have hundreds if not thousands of instant competitors. Change up the material, add some stuff, change the graphics and you will have a unique product that will sell. Thanks for the kind remarks, Dan. Hope you find the other 30 ways helpful too! thanks Rosalind for this article, just recently started using PLR products and you are right some of the content are very useful which you can re-use just making sure they have not been used before and you can even create audio products out of the articles found on these products, fantastic way of making good use of quality PLR products!